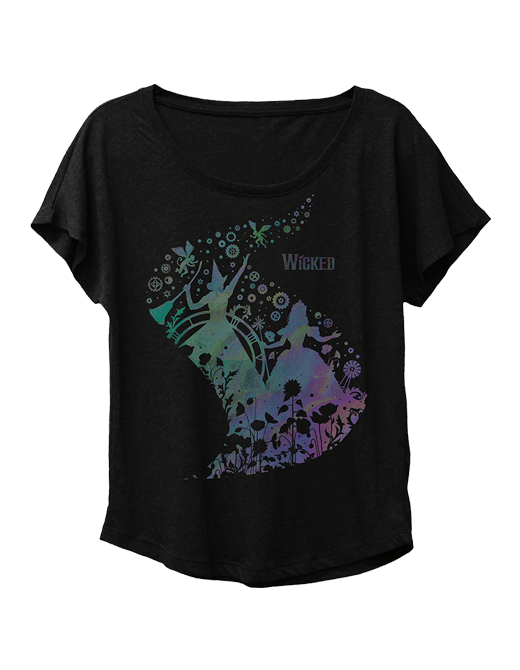 Light up the sky with Elphaba and Glinda when you wear this women’s dolman style t-shirt. Featuring oil-slick foil treatment. Printed in California, USA.